Our goal as a kitchen & bath designer is to create spaces that are sophisticated, functional, livable, and affordable, but above all, a reflection of the client. We aspire to provide products of the highest quality for each project, regardless of size. To ensure this happens, we build relationships with colleagues and proprietors whose work is also in the best interests of their clients. Local Craftsman & Trusted Suppliers The mainstay of our designer materials come from local builders, fabricators, and suppliers. We design using solid wood cabinetry handcrafted by experienced Amish builders in the Southern Illinois region, natural and formed stone countertops from specific fabricators and artisans, and tile and flooring from nearby suppliers. Other specific materials, fixtures, furnishings, and pieces are found through various specialty suppliers or made by area craftsmen. If there is something specific you’re looking for but just can't find, we can help. Eco-friendly Options Available We can also present eco-friendly options for our clients. We have many environmentally friendly processes and materials in a variety of styles. Many clients find these options important when settling on a final direction for their project. Give us a call today, we look forward to working with you! HomePro Audio & Video works with the best builders, designers, and architects in Kentucky, Illinois, and Missouri to deliver a true connected home experience to their clients. The technology that exists today is entertaining and exciting, but can be intimidating to many. We take the complexity out of using home technology with simple and easy to use interfaces, making sure that everyone is able use and enjoy our systems. Object A is a design/build studio providing custom interiors, furniture, cabinetry and built-ins, architectural fabrication, and architectural lighting, as well as contract/wholesale metal fabrication for furniture and cabinet makers, interior designers, architects, and contractors. The owner is a Southern Illinois based designer and custom builder/fabricator with 18 years of combined experience in metal fabrications, carpentry and custom installations. His background in both sculpture and architecture have helped in developing the capacity to recognize the spatial implications and conceptual potency of the objects with which we interact daily. Object A has a particular interest in objects and installations that produce spatial relationships between users, promote program shifts and versatility, and help the owner/occupant express themselves through the act of dwelling. We believe in the intuitions of our clients, and work to maintain an open dialogue and a collaborative spirit. Southfork Lighting has over 50 years of experience, providing design services and products to countless clients. We offer showrooms located at 489 Kell Farm Road in Cape Girardeau, MO., centrally located between St. Louis, MO. and Memphis, TN. as well as another location in Paducah, KY located at 2860 Lone Oak Road. At Southfork Lighting we cater to individual home owners, custom builders, business owners, and anyone looking to give their space a personal touch. 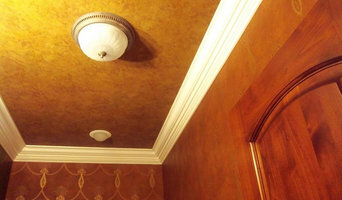 Our experienced staff has earned a reputation of understanding lighting styles and selections to help choose the best option for your specific needs. We specialize in providing a high level of service and a large product offering of exclusive brand names. We look forward to your visit at either location. Providence Home Center was founded in 1995 by Craig Stevenson. Over the last two decades the business has steadily grown, thanks to the loyal patronage of our community, and now includes the Slumber Yard Mattress Shoppe and Cabinets By Design, all located in Providence, Kentucky. Providence Home Center is a full line lumber yard, paint and rental center and hardware store. While Cabinets By Design began as part of the hardware store it soon became self-reliant and in 2010 opened a second location in Madisonville, KY. and has now opened its third location in Henderson, KY! The goal of Cabinets By Design is to assist our clients in achieving the kitchen or bath of their dreams while staying within budget. Our design team will do everything possible to make the process as enjoyable and stress-free as possible. Established in 1933, we are a high end Interior Design firm, with a dedication to thoughtful design and personalized customer service. Our designers are prepared to oversee your entire project whether it be a single room or new home construction. We covet every facet of interior design and remodeling from planning and designing to installation. Since 1995, I’ve been serving Southern Illinois' decorating needs and maintaining a business philosophy of providing excellent design service, on projects large and small, tailored to my client's needs and wants. I offer a huge product assortment! Window treatments, bedding ensembles, carpets, area rugs, wall covering, accessories, lighting, upholstered furniture and case good furniture – I literally have it all! I know that with such a wide assortment of samples, we're sure to find YOUR perfect design solution. Since 1977, Greenridge Landscaping has been designing and creating beautiful landscapes in Southern Illinois. We provide unique and innovative landscape designs that integrate top quality materials with unsurpassed craftsmanship. Our design team blends knowledge, creativity, experience, and professionalism with our client’s dreams to produce beautiful and unique landscapes. We are known for our custom water features, specialty brick paving and natural stonework. We can also help you add drama to your landscaping at night with custom outdoor lighting, creating nighttime environments for entertaining, enhanced security, and peaceful pleasure. With long-term plant health being our number one goal in every installation, we are constantly refining our planting and bed preparation procedures. Our detail-oriented installation crews will get your plants off to the best start possible. We can also design, install and service a customized irrigation system that will protect your landscape investment and keep it growing beautifully spring through fall. Locally owned and family operated, New Horizons Homes, Inc. is a turnkey custom homebuilder. At New Horizons Homes, Inc. you can choose from any of our existing floor plans, bring your plan to us, or we would be happy to help design one for you. Whatever you choose, we will be there to guide you through the entire design and construction process. 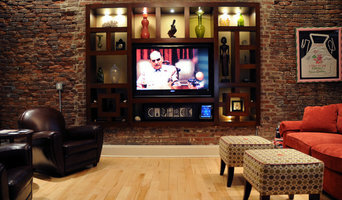 We help clients live the lifestyle they want to live by taking into account everything that makes a house into a home. 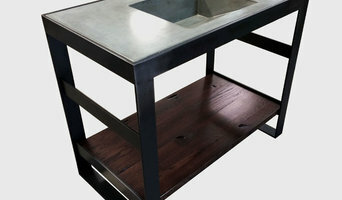 We are an established well recognized Couter top fabricator and Cabinet supplier in our Region. We are however WHOLESALE ONLY, But keep a revolving list of our TOP CUSTOMERS that we will gladly refer you to to complete your project. The premier importer/distributor of affordable framed style cabinetry. We are not the typical imported cabinet. Our cabinets are built to our specifications and do not employ the use of cam locks or clips. Our quality and service are second to none and our prices are as competitive as you will find. We stock 8 lines of cabinets in our warehouse and we sell kitchens one at a time or in container quantities for large projects. Once you try us, you will become a customer for life! 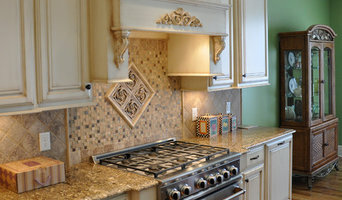 Tile Installations including heated floors and backsplash/ countertop lighting. 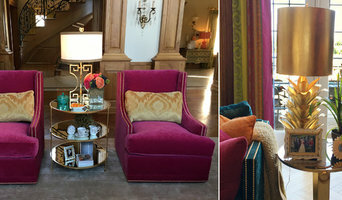 My goal in design is to help you create a space that makes you comfortable, one that you can be proud of, and one that reflects your personality and passions. Whether that means a little redecorating, a full remodel and renovation, or somewhere in between, I want to help you get there. Vous avez besoin de quelqu’un pour vos travaux ? Lisez nos trucs et astuces pour trouver les bonnes adresses de professionnels Paducah, KY. Utilisez la liste de pros recommandés pour votre recherche de contact d’artisans locaux, de sociétés du bâtiment et autres professionnels des travaux partout en France. Comment trouver des professionnels du bâtiment Paducah, KY ? Avant de vous lancer dans d’interminables recherches, réfléchissez bien aux points suivants. Quel est votre budget travaux et quelle est l’étendue de votre projet ? En effet, si vous souhaitez installer une cuisine aménagée, refaire votre décoration intérieure ou une rénovation de salle de bain, vous devrez faire appel à plusieurs types d’experts dans votre secteur. Avez-vous les moyens financiers pour entreprendre de tels travaux en une fois ? Il peut-être préférable de procéder par étape. Une fois que vous aurez déterminé vos priorités, le budget et l’étendu de votre projet, vous pourrez chercher des professionnels Paducah, KY. N’hésitez pas à utiliser votre réseau de connaissances pour obtenir des recommandations sur des professionnels compétents dans la région. L’avis et l’opinion de vos proches sont très utiles pour vérifier le sérieux d’un prestataire. Comment choisir des entreprises du bâtiment Paducah, KY ? Pour trouver le meilleur professionnel de la maison pour vos travaux Paducah, KY, cherchez parmi les 6 618 professionnels inscrits sur notre site et affinez votre recherche dans la section « Trouver un pro » par localisation ou par nombre d'avis. Nous vous invitons à regarder des photos de projets Paducah, KY et à prendre contact avec chaque entrepreneur, artisan et société Paducah, KY pour plus d'informations.